After the conflict with Saudi Arabia and the United States and the EU decision to lift sanctions with Iran's global and regional role of Tehran began to sound in a different way. It's quite apparent in the position of Iran in connection with the execution in KSA 47 local Shiite leaders, including prominent human rights activist and preacher of Ayatollah al-Nimrah Nimrah.Iranians are very sharply reacted to the massacre of Shiites on insignificant charges. Then they also dramatically refused to comply with an ultimatum to Washington immediately after the lifting of sanctions in relation to Iran's decision to continue the development program for the production and development of ballistic missiles. Thus, Tehran has shown the world that it intends to continue to firmly adhere to the independent course, which is primarily responsible to its own national interests. From the first minute after appearing in the news media that the Saudi authorities in early January this year, executed 47 Shiite activists who defended the interests of the Shiite minority in the kingdom, and it accounts for up to 20% of the CSA, it was clear that it was a place Riyadh Tehran for military assistance to the legitimate government of Bashar al-Assad in the fight against terrorist groups in Syria, funded by Saudi Arabia and Qatar, which in recent weeks have been heavily battered blows group videoconferencing RF parts of the Iranian Revolutionary Guards and troops of the Lebanese Shiite Hezbollah and Shiite Volunteers from Iraq. Terrorists are slowly but retreating SAR Government recaptures the positions lost in the spring and summer of 2015, and Riyadh all clearly aware that they invested tens of billions of dollars to support the armed opposition, they were thrown to the wind. But revenge was completely stupid and dealt a blow to the very KSA. 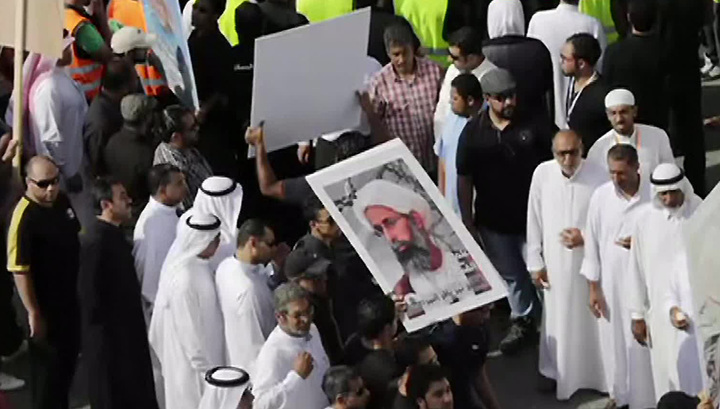 In Shiite areas of the kingdom rolled a wave of mass demonstrations, the suppression of which were thrown the police, security forces and the National Guard. Staggered mode.Moreover, since mid-January of this year Riyadh began receiving information that a 80-year-old King Salman wanted to abdicate and put in his place his 34-year-old son, Defense Minister Mohammed having the status of deputy crown prince. Otherwise, the country faces collapse as socio-economic and political.That is the kingdom weakened and Iran, where no one questioned the internal stability of the state, is gaining strength and influence. And if the degradation of the socio-economic situation of the CSA clearly continue due to the ongoing decline in oil prices, provoked by the same Riyadh in order to drown its main competitors in the face of Russia, Iran and Venezuela, the Iranian survive a further fall in oil prices, as its economy is more based on the industrial and agricultural production, rather than dependent on revenues from hydrocarbon exports. And then Tehran will substantially strengthen its role in the region and influence with Shiite Iraq and Yemen, as well as the Lebanese Hezbollah. Especially since the fermentation of Shiites were also held in Kuwait and Bahrain. And Iran has nothing to do with: KSA charges and several other Arab countries in the Iranian interference in the internal affairs of Arabia - is another myth Saudi propaganda to justify their own failures and setbacks. Iran confirms its intention to increase oil exports twice after the removal of economic sanctions. "After a few months we will again be able to export up to 2 million barrels per day" - said three weeks ago, the vice-president of the Islamic Republic of Ishaq Jahangiri. After all, due to the trade restrictions caused by the conflict with the West, caused by the nuclear development of Iran in recent years, the country exported an average of 1 million. Barrels of oil per day at the volume of its production in 2015 of 2.8 mln.b / d if believe the International Energy Agency. After the recent decision by Washington and the European Union economic sanctions against Teheran legally irrevocably removed. Russia has made it a few months ago. For the actual lifting of the sanctions required some time - presumably until March 2016. However, still it needs another year and a half, to significantly increase the export of oil. After the oil production infrastructure greatly deteriorated under the influence of sanctions and needs a thorough modernization. Now it is possible, especially as many EU countries downright eager to get into Iran's oil production with its investment and technology. 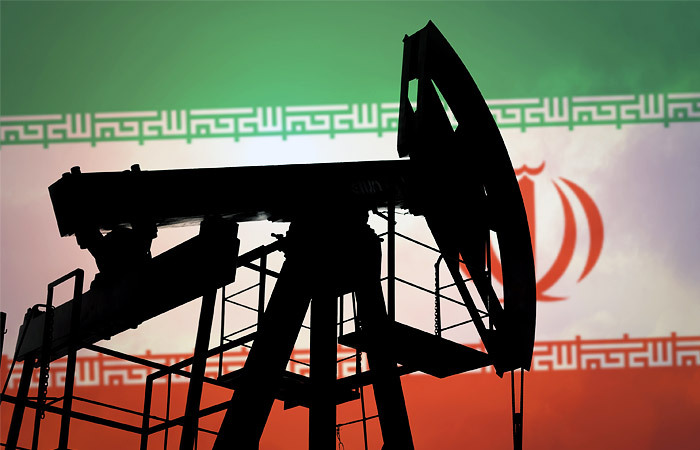 In any case, Iran plays an important role in the international oil market. Current production potential of Tehran - 3.6 million barrels per day. At the same time, taking advantage of unlocked accounts in Western banks and attraction of foreign investors and technology, Iran will be able to quickly adjust well and LNG production, which significantly increase foreign exchange earnings to the state budget of the Islamic Republic. Other sectors, especially industry and transport, and electricity now have every chance to develop and modernize, thus increasing the total weight of the Iranian economy in the Gulf region, which causes anger and jealousy of the Saudi regime and the other members of the GCC. Economic growth will significantly strengthen the position of the current government in Tehran in a society that, and so much consolidated in the wake antisaudovskih sentiment after the execution of Ayatollah al-Nimrah Nimrah and his associates. Whatever they gnashed their teeth in rage Saudi, Qatar, Bahrain, UAE, and Kuwait's Sunni rulers, but the foreign policy role of Iran will inevitably increase, and by success in those regions where conservative Arabian monarchy implemented a gross interference in internal affairs, including primarily artificially pitting Sunnis against Shiites. This is particularly true of Syria, Iraq, Yemen and Lebanon. It was there that decrepit kings and emirs of Arabia sparked the "color" revolutions and civil wars waged with a strong flavor of confessional strife with Sunni Shiites. The result is obvious: in Baghdad Ball sole Shiite parties, which consists of representatives of all the Iraqi government focused on Tehran. That is, Iran was represented by a powerful and oil-rich Arab country a reliable ally, which for many years before that was his worst enemy. A Sunni terrorists have turned to IG / give, which is now fighting the whole world, including Russia, USA, France, Great Britain. In Syria, Sunni, though not all, of the Saudi and Qatari money began to fight with the government of Bashar al-Assad, where many Shiites, Alawites, and which ensures that all the Syrians the opportunity to conduct business without infringing upon the rights of any denomination, provided, albeit in truncated form, right and freedoms of citizens throughout the CAP ensured stability and peace instead of war and murder. And now they are retreating, many Sunnis back into the camp of Bashar al-Assad, realizing where they started the propaganda and money Arabian monarchs. However, many of them have lost relatives, shattered families, and 2 million people became refugees in Turkey and Europe. And now the end of the rebellion provoked by KSA and Qatar, is not far off. And the main beneficiary here would be Iran and Russia. And the axis of Tehran-Baghdad-Damascus is able to become a leading force in the Middle East, both politically and economically. Finally, Yemen, where Shiite Huthis supported by Iran, blocked with Sunni forces, headed by former President Ali Saleh, and successfully reflect the occurrence of all the Arab coalition led by Saudi Arabia. It is already clear that a further injection of money prosaudovskim forces led by President Mansour Hadi, at best, lead to the disintegration of Yemen to the north and the south, and the south of the authorities could seize al Qaeda of the Arabian Peninsula. A Huthis, taking advantage of the current destabilization of the situation in Sauda, ​​especially in the event of a change there is power, it can move into the border areas of KSA populated Yemeni tribes, many of whom are Shiites, and the province of Najran in the south of the kingdom, inhabited mainly among Shiites -ismaility. That is again the winner coming out of Iran, which has access to the Red Sea, the Indian Ocean and the main thing - the Bab el-Mandeb strait, through which up to 70% of all cargo from Europe to Asia. And then Iran may well claim to a leading role not only the Gulf countries and the Middle East, but the entire Middle East. All this is well counted by Western, Russian, Indian and Chinese experts. So now a struggle for a tidbit of the Iranian economy. After Iran - is a giant in the short term the potential for rapid economic dividends. Iran - is the most important and reliable ally of any state of the world level in the Middle East. Iran - is the most important country of the region and the Middle East. No wonder there before the lifting of sanctions rushed European business leaders. Only Moscow is very slow and it seems like in the past, unfortunately, does not know how to build its policy towards Iran in the new geopolitical situation. But this situation can not last long. After all, Iran needs investments and technology today and now. The EU stands ready to provide it all. And Russia, apparently, not very much. How else to explain the arrival in Moscow of the Emir of Qatar - the pupil of the ideological leader of the "Muslim Brotherhood" Sheikh Youssef al-Qaradawi and the main sponsor of the war in Syria? I want to believe that Russia did not yield to generous, but always empty promises Arabian sheiks, who want to drag Moscow to his side in an environment where the United States before the election of the new president is not up to them. Moscow quarreled with Tehran, treacherous Arab sheikhs can reverse the strengthening of Iran in the region.